Beautiful seasons, not so beautiful expansion. Absolutely beautiful weather effects and attention to detail, Easy to integrate the new expansion into existing games, some interesting new features including one that can make Sims easy money. Lacking in seasonal activities, Including ones not always well executed, One necessary inclusion destroys a game staple. EA has been pretty well known for recycling old Sims content and repackaging it for later games. When it’s done well, it can be a good thing and can be a source of continued entertainment for fans of a series. 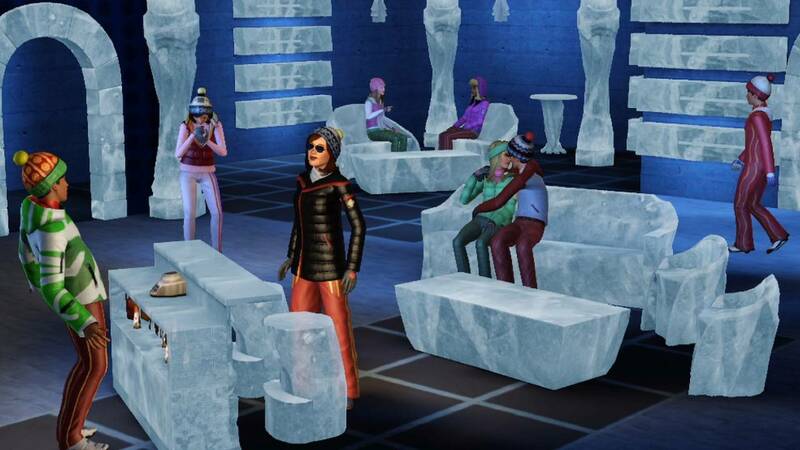 The Sims 3: Seasons is not only a repackaging, but only the second in the current series to completely take the name of the old expansion as well. It would stand to reason that this expansion would take the elements of the old, expand upon them and make them better. In some areas that is absolutely the case, yet in others, it fails miserably. 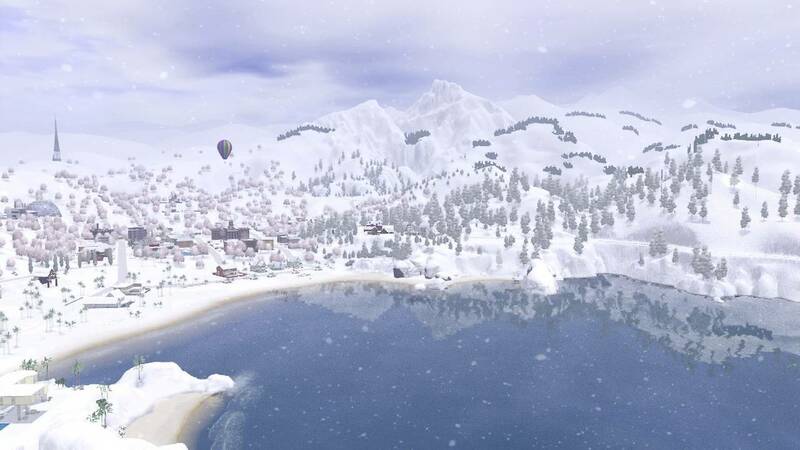 The main appeal and draw to a Sims expansion based on the weather is for the realistic weather effects it brings to the game. Playing your little digital people takes on a whole new dimension when they have to deal with the same crappy weather you do; heat waves, rainstorms and the like. It brings a sense of depth and dimension to an otherwise perfect world. 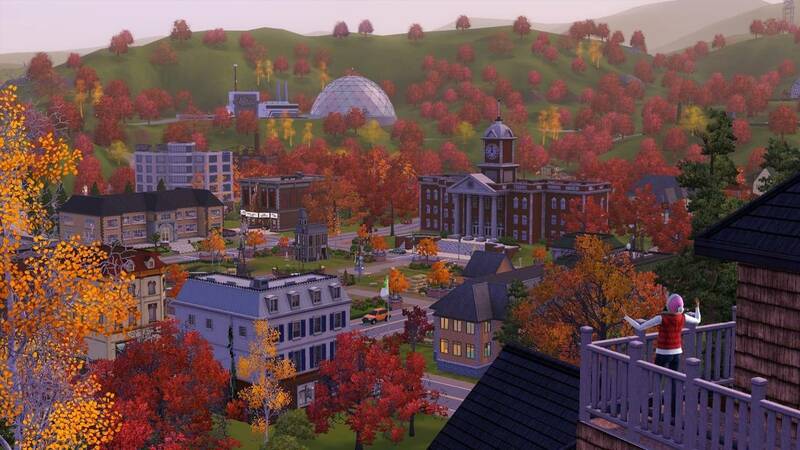 Seasons manages to do so and does it beautifully. Every weather effect in the game is rendered in breathtaking detail and it surprised me how nicely it was all done. The rain effects in the spring are very nice, with the raindrops plinking into the water in the world map. Random puddles of water appear on the ground and in the road; you can see the raindrops falling into them as well. 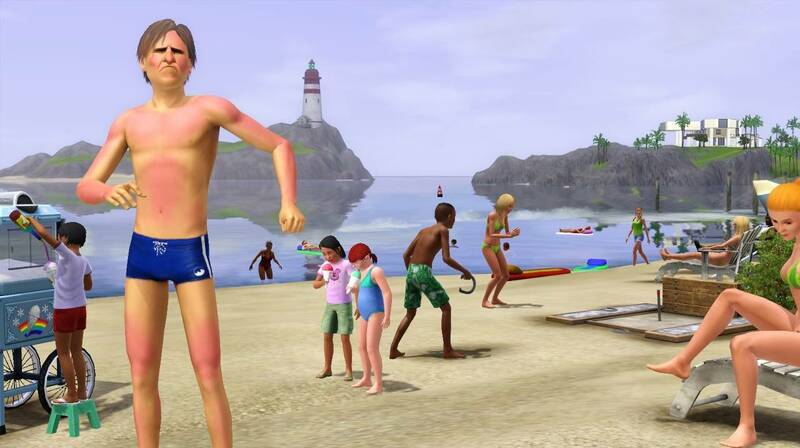 And these aren’t the normal ‘pee’ puddles you got in Sims 2; some of these suckers are huge. 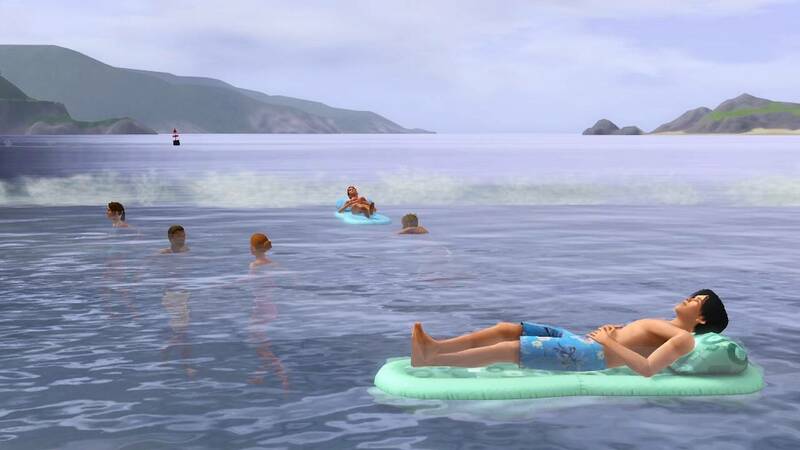 When the Sims drive from place to place, you can see the water kicking up from their tires. Rain even drips from the eaves of the building. And the thunder and lightning literally shakes and lights up the entire screen. The first lightning bolt I saw was pretty epic. 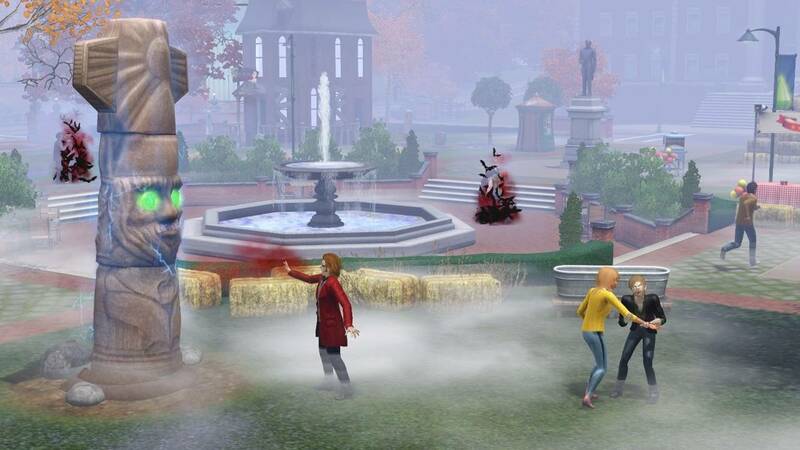 When it’s cold outside, you can see the Sims ‘breath’ as they walk around. Windows frost over and icicles form on the roofs of the buildings. When it snows, the furniture and cars outside have a layer of snow covering them. And in the fall, the leaf cover on the ground is subtle as opposed to being huge piles everywhere. And the leaves fall off gradually, slowing exposing the branches of the tree underneath. The grass on the map changes, becoming duller and less vibrant as the seasons change. It’s actually quite nice, watching the entire world transforming around the Sims and seeing the entire environment react. 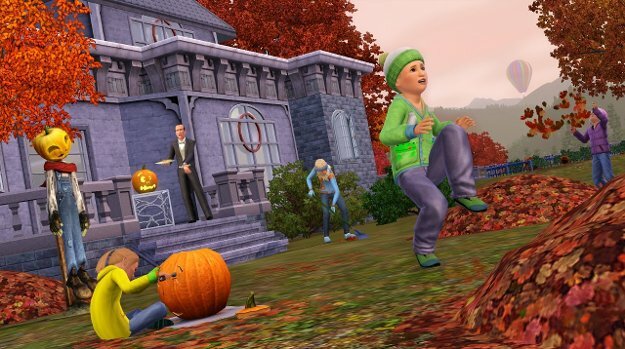 Seasonal activities have been added in as well, giving the Sims something to do with all the new environment changes around them. 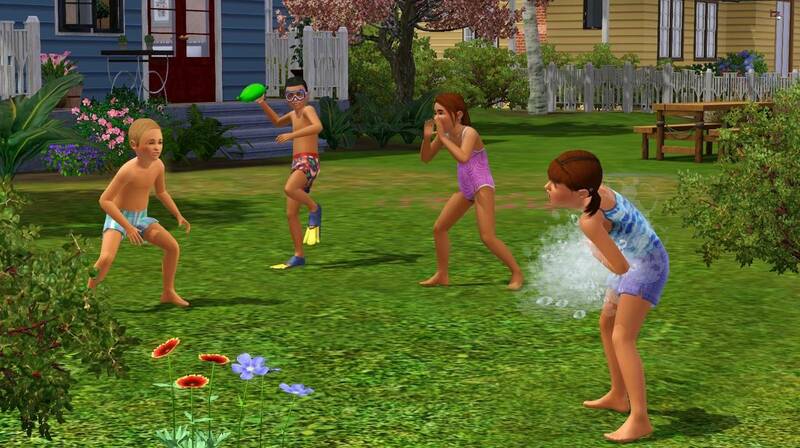 Water balloon fights can spring up anywhere, so long as there is enough of a space for the Sims to interact. They love the fights so much, that random Sims that your characters don’t even know will gladly jump into the fun. And of course for the winter, there are the snowball fights as well. 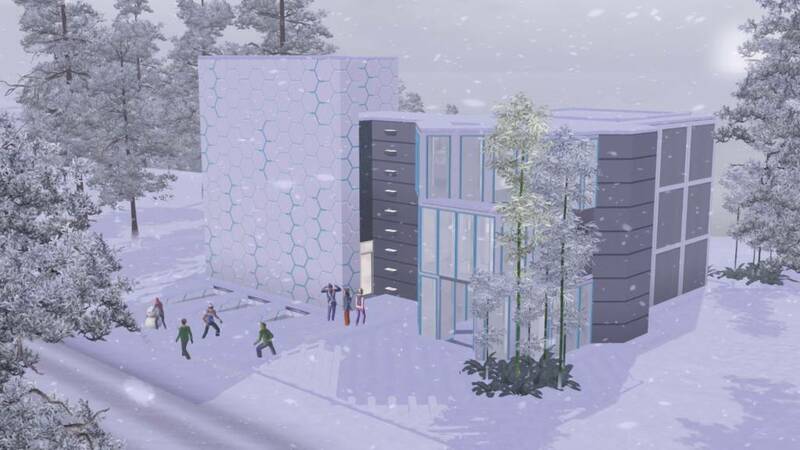 Snowmen, snow angels and the brand new igloo building are all part of the winter season and the snow. 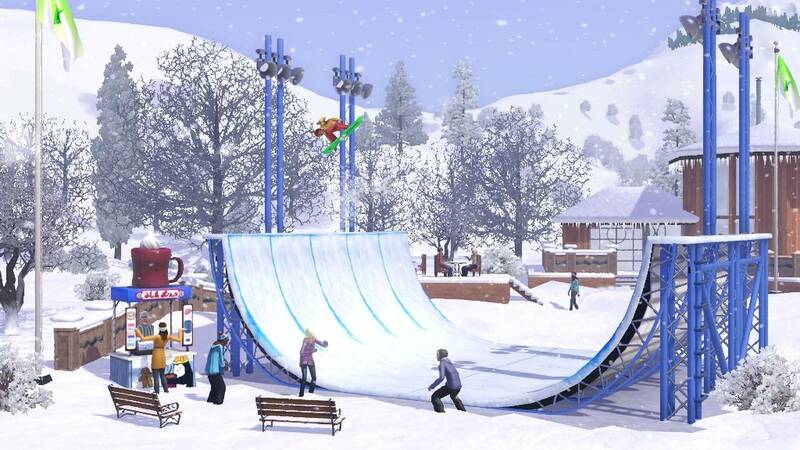 There’s a snowboard object that allows the Sims to go snowboarding and an ice skating rink that they can skate around. Large ponds also freeze over during the winter months, allowing for ice skating on them as well. This means that Fishing isn’t possible, but as it’s realistic it’s a perfectly acceptable inclusion. Fall has trick or treating, which doesn’t work quite as well as it should. 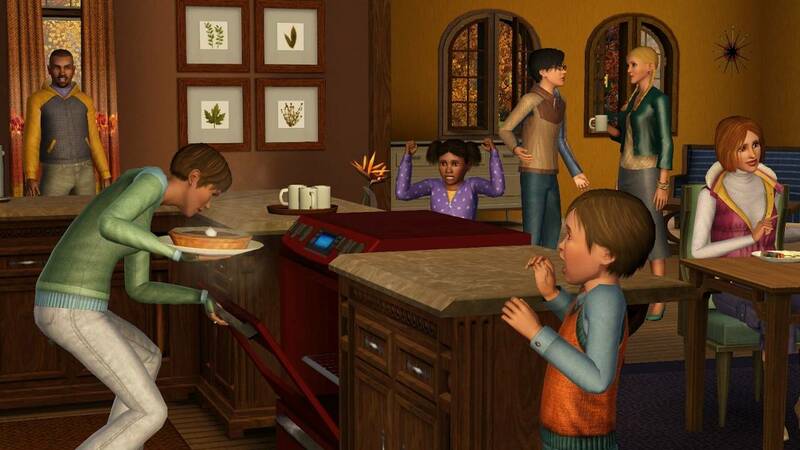 Each of the Sims kids get the option to pick from a new pie menu that allows them to choose a costume to dress up for the occasion. Once they’re all set to go, they can move from house to house and ask for treats. However, you have to hand select every single house for the kids to go to; otherwise they just go to one and then head home. It’s a tedious process for something that should be fun. 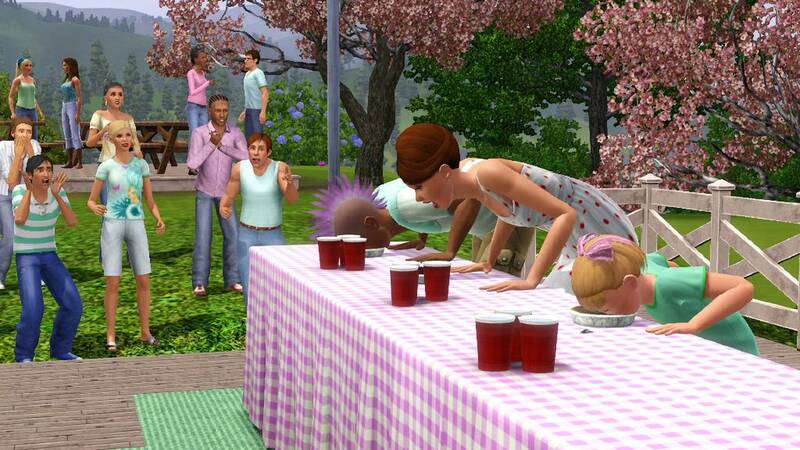 Each season also has specific parties that the Sims can throw to invite their friends over for, featuring a different theme. The parties are much like any other party, except for small differences. 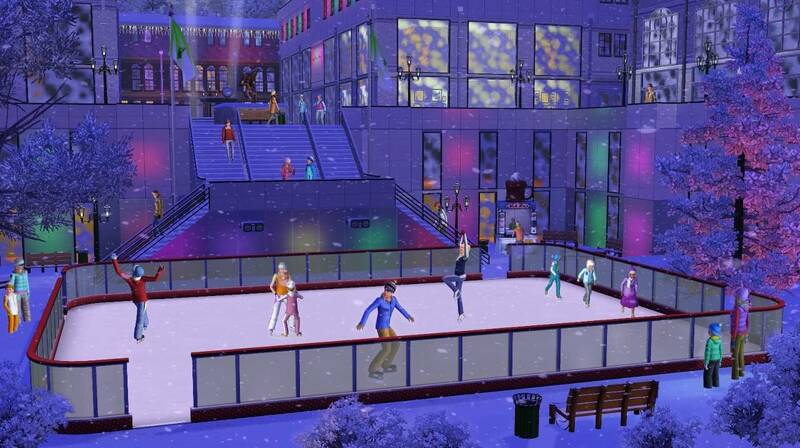 For example, during the winter, a Gift Giving party can be thrown. 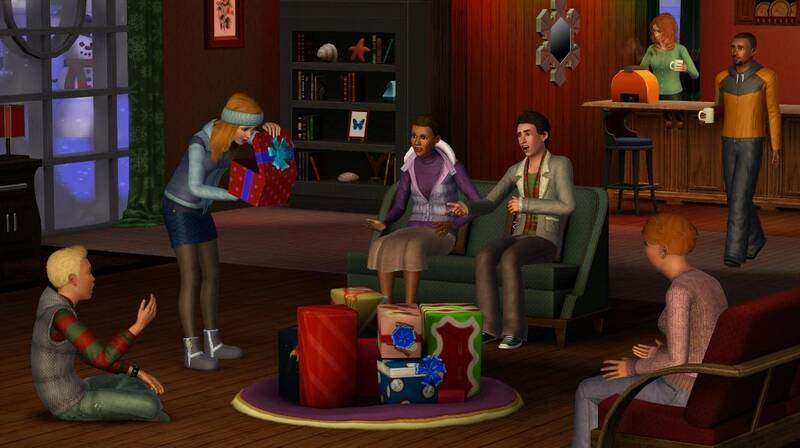 In it, a big pile of presents appears at your Sims house for everyone to be able to open one up. I actually had a huge problem with getting mine to work because of a routing issue. The party members all got stuck in place and no one got to open any presents, making the party a really big bust. The big seasonal activity, however, is the Festival that each season brings. 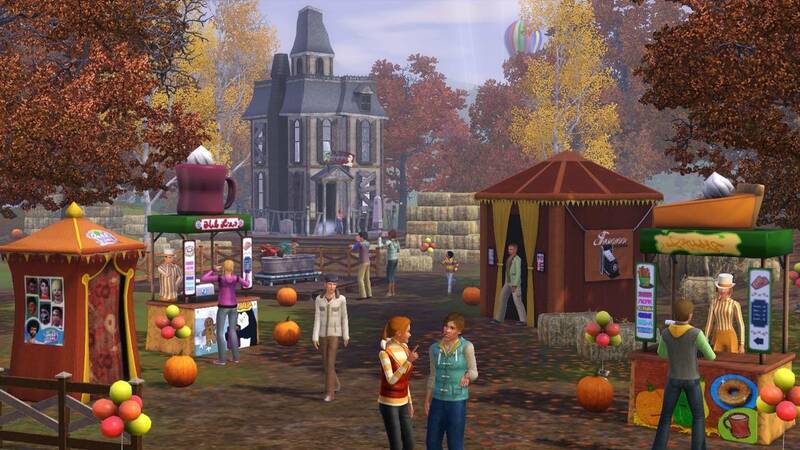 A large park in each neighborhood is transformed into the Festival, with the game automatically placing activities for the season. Winter, Summer and Spring seem to have the best activities, while Fall is stuck with a couple of eating contests and a haunted house. The haunted house seemed cool at first; however it left my teenage Sim peeing his pants while his little sister handled it just fine. It wasn’t all that special. 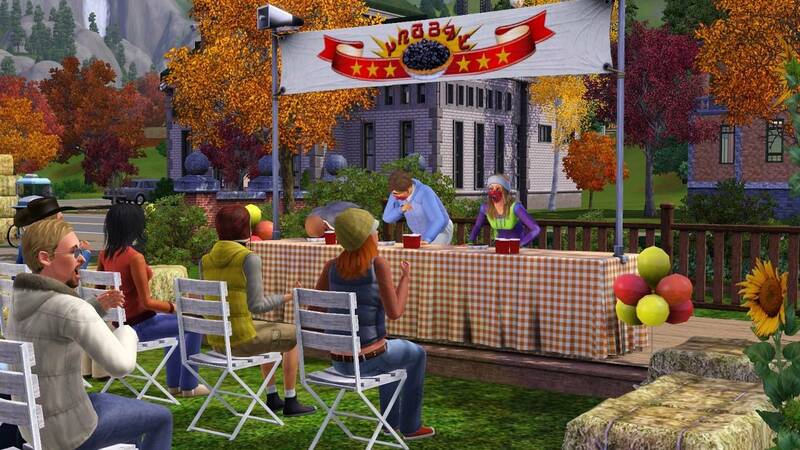 And the eating contests can only be done every few hours, meaning that if your Sim misses out, there are no other activities for them to do. 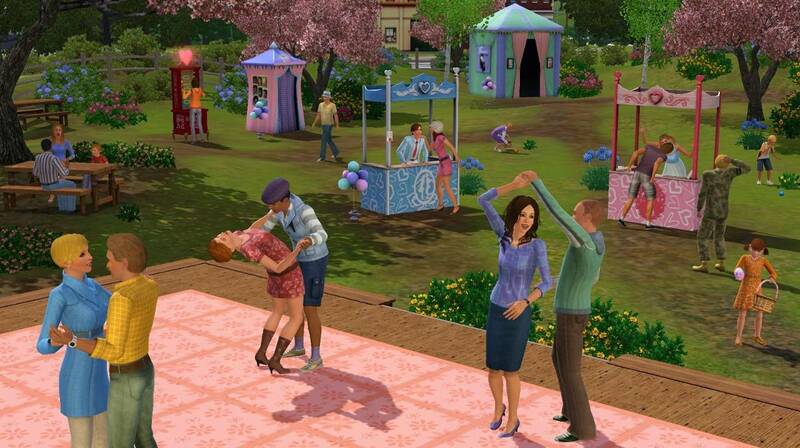 The nicest thing about the Festival is that every season there is a day off for every Sim; no work, no school. It gives them the opportunity to enjoy the day and participate in activities without having to worry. Each of the seasons can even be controlled, excluded or included to your heart content. Really love the Summer but hate the Fall? Get rid of it! Want to have a nice long rainy Spring and a short Summer? Make the Spring longer and Summer shorter. It’s possible to change the length of each of the seasons as well as select which ones will happen in a particular neighborhood. 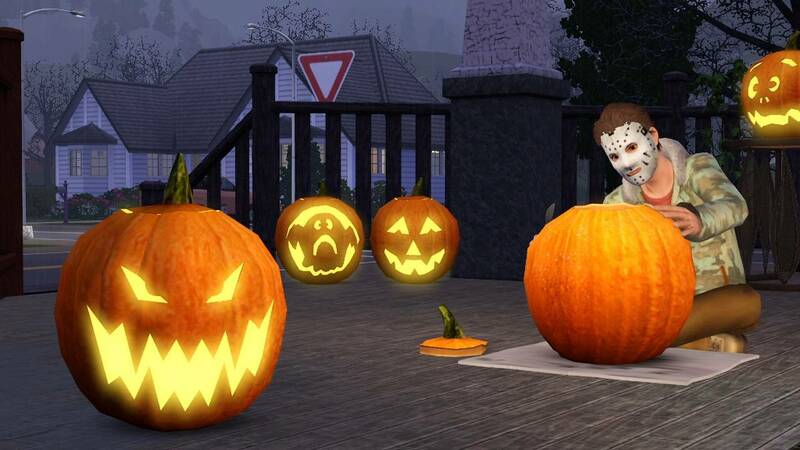 New personality traits and lifetime reward objects also help add to your ability to deal with the seasonal changes. 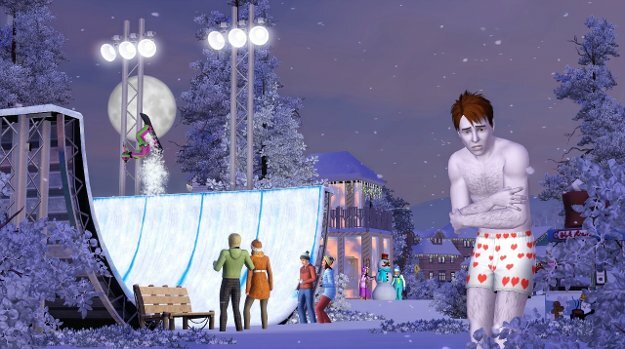 For example, the Sims can take a personality trait that makes it so that they absolutely love the cold or heat. Lifetime reward objects even make it so that you can change the current weather. Alternately, you can go into the options menu and turn off the seasonal effects entirely, making it impossible to ever rain or hail again. This expansion also added in a few extra goodies. One of the things that Sims can now do is date online. They can create a profile, check and send out messages in an effort to hook up with others. Sims can even lie about themselves, changing up what their stated traits, likes and body types are. I had a bit of an issue with the body type issue, however. I wasn’t really sure if my Sim was Slim, Athletic or More to Love, considering the freedom in creating how their body looks. When I picked Athletic and ended up meeting some of my online friends, they accused me of lying about my body type. I actually had to go through all three to find the correct one. However my Sim was eventually able to make a love connection or two, for which she was rewarded with constant gifts being sent in the mail by her friend. Another fun goodie are the wildflowers that spawn around some of the other spawners in the game. Interestingly enough, these flowers can earn your Sims some major bucks. 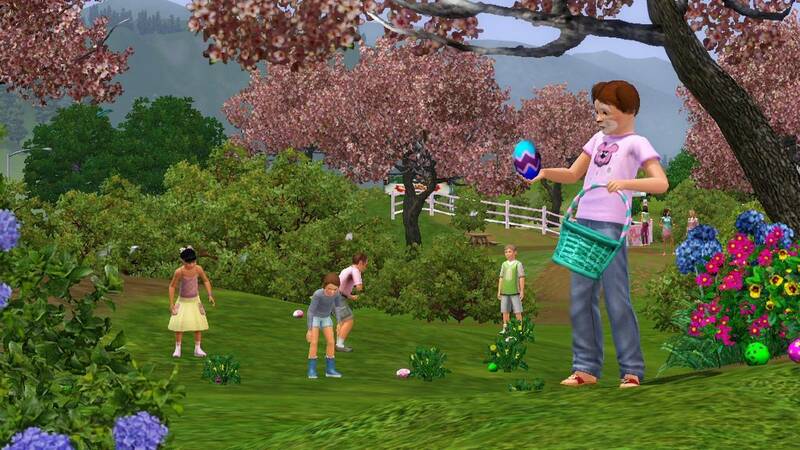 Hanging around the big parks and picking up every flower you see (paying special attention to the rare Cosmos) means that your Sims can sell them and make a tidy profit. Aliens also make a comeback in this expansion. They not only come around for abductions and male alien pregnancies, but they can come by just to visit as well. When they visit you, they can become friends and eventually can be invited to live with you, giving you access to their alien space ship. 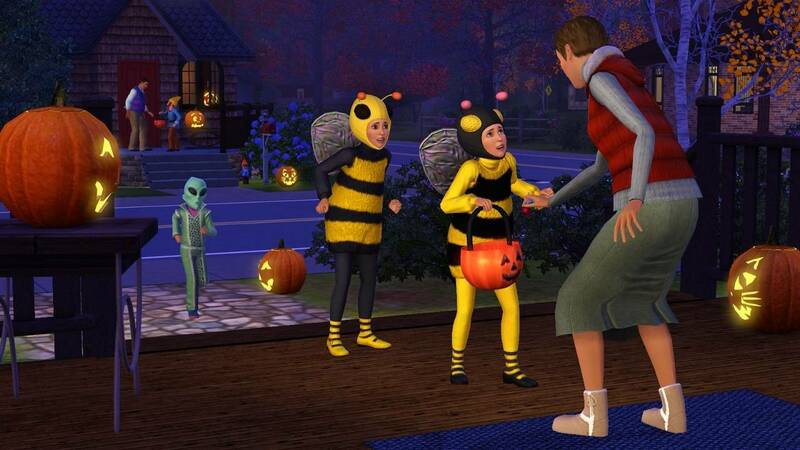 Each of the aspects of the Aliens have been enhanced; for instance, when a male Sim has an alien baby, he has the option to send it home to its home planet instead of raising it. The chances of abduction are increased by using the telescope as usual, but also by collecting space rocks which playable Aliens can use to replenish their Brain Power, their Energy bar. I found the Alien Abductions happened very easily, though the visitations did not. I had one male Sim abducted at least six times and never visited. Another household that wasn’t trying to get their attention was visited at least four times. 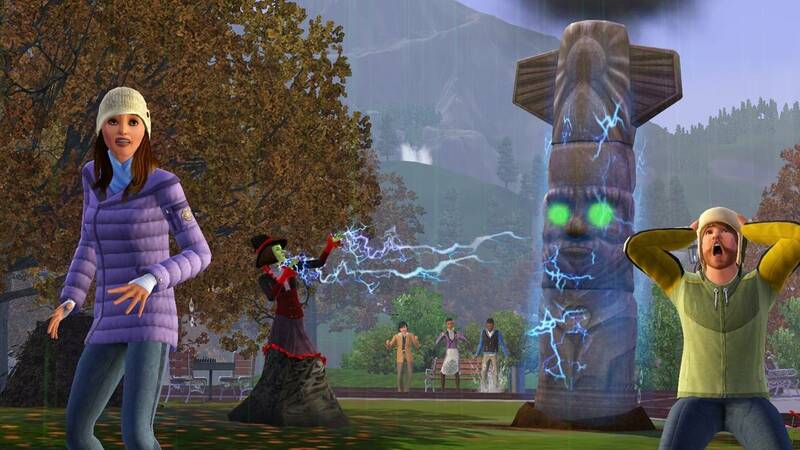 When they join your household, the Aliens themselves are pretty cool, with a weird voice effect and alien features. They automatically have ten in Logic and a seven in Handiness, making them pretty nice additions to the household. Their car can be used as a rabbit hole to ‘visit space’, which allows them to gain pretty cool objects through a text based adventure. 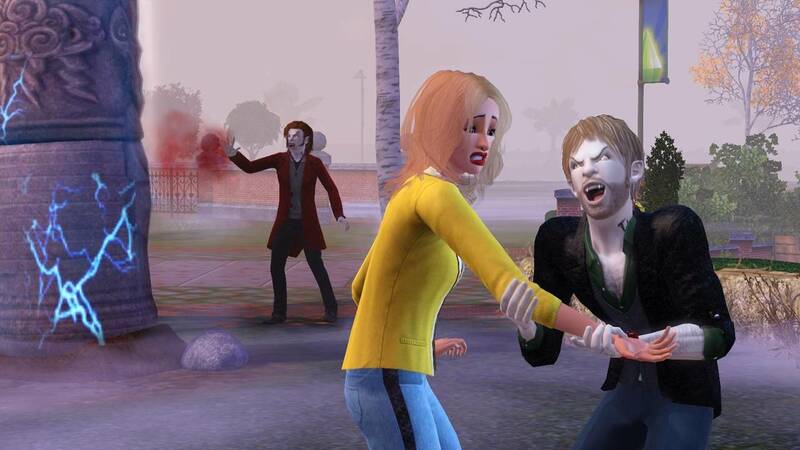 It can also be used to attack community lots or prank abduct other Sims. 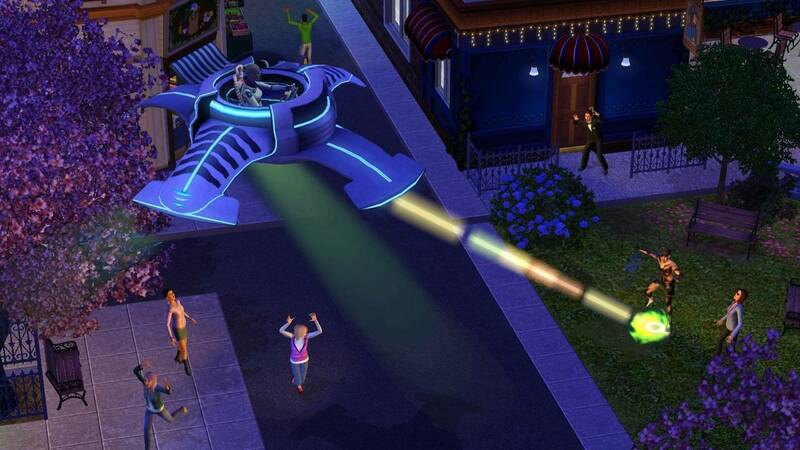 When used as a vehicle, the Sim is instantly taken to the lot they were travelling to. Aliens also have the ability to transmute objects into a more valuable form and to summon meteor showers, creating massive chunks of rocks that fall from the sky. While they leave a dent in the landscape, they are incredible valuable. And two job objects specific to Aliens are available; either selling secrets at the Military Base or being a Test Subject at the Science Lab. 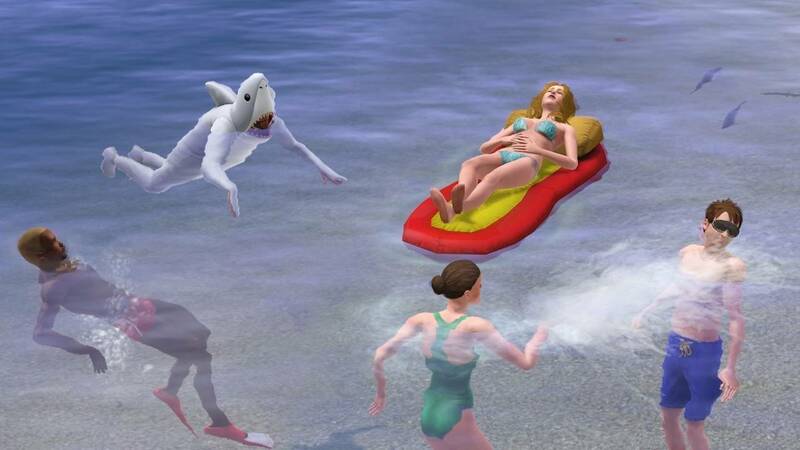 So we’ve got great weather and weather effects, ok activities, a couple of interesting extras, a very cool new special type of Sim and parties that don’t always work right. On average, we’re working out to a decent expansion, with some problems but nothing too bad. And then I found a huge omission in the expansion that breaks the pooch. 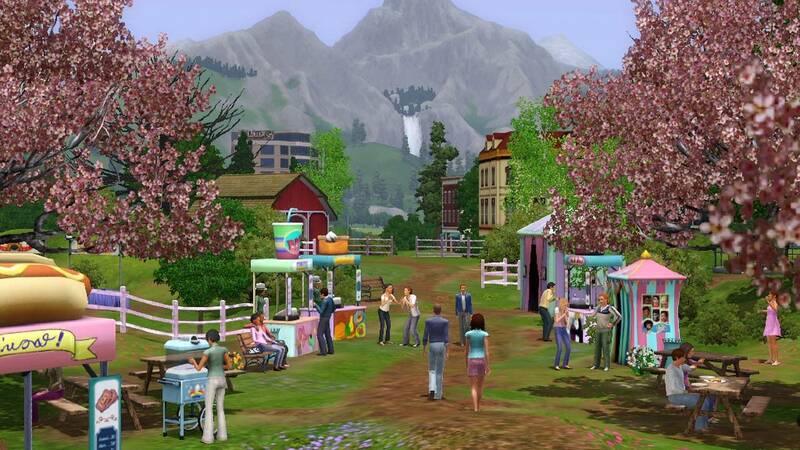 In the original Seasons expansion, one of the inclusions was a greenhouse that allowed the Sims to garden no matter what season it was. That greenhouse is regrettably missing from this expansion. Whenever it’s Winter, plants go dormant. Whenever it’s too cold, plants go dormant. A cold Spring or Fall night can cause all the plants in the garden to suddenly refuse to do any producing. And the indoor planters that came with Supernatural don’t work. At least not for me. 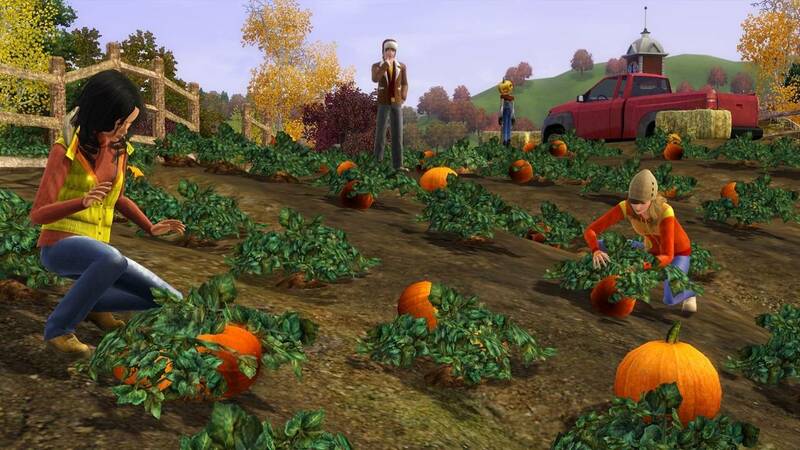 Basically, your Sims are unable to grow any produce. This is a huge blow to the game that made gardening incredibly accessible and easy for every Sim. Heck, you can take your tomatoes and lettuce out of your fridge at the beginning of the game and start gardening immediately. And once you’ve got your first skill point, the game rewards you by giving you free seeds. Getting to the point where you can grow garlic is a huge money maker and the Gardening career that Ambitions added is a big draw for some. The cooking skill even benefits from your Sim having a great garden. Now that ability is taken and it doesn’t look as if it’s going to be fixed anytime soon. 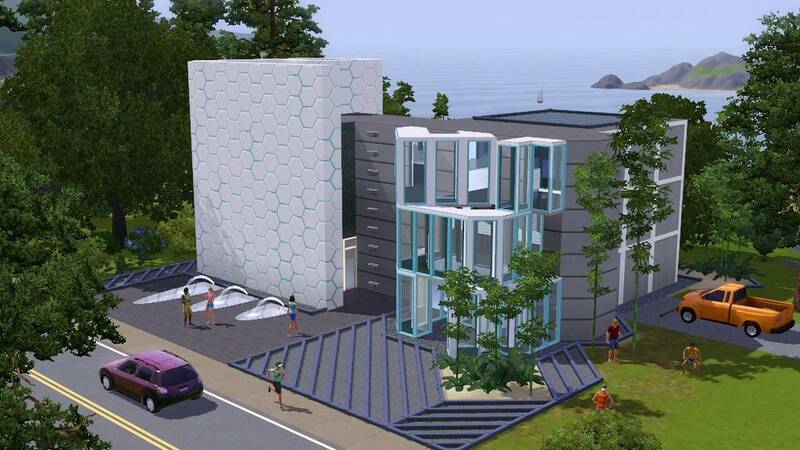 Now for an admission; in the Sims store, there is a venue that can be purchased called the Stones Throw Greenhouse. When I saw it, I nearly blew my lid. It appeared as if EA had decided to save the greenhouses for only those willing to pay a premium price. I saw red, spent green and learned the hard way that the greenhouse included is purely decorative. The plants inside are obviously placed using the move objects cheat. When winter hits, they don’t know what to do with themselves and some of them go dormant while others don’t, because the poor things are confused. Granted, if I’d read the description I would have realized that in advance, but what can I say? I wanted to test and see if EA was nickel and diming the players over what should have been an included feature, no hard thinking required. The exclusion of the greenhouse pretty much breaks the expansion. There are rumors that code has been found in some of EA’s programs that hint at a farming expansion, in which case a greenhouse might be included. But the fact remains that it belongs in the Seasons expansion, especially when the colder seasons make it so that gardening is impossible. I’ve actually turned winter off in my game in order to continue to garden for most of the year, excluding the occasional frost that makes my plants go dormant. An okay expansion with a major flaw becomes a massively flawed expansion. I really wanted to love this one and I started to, as soon as I saw all the detail and effects that were put into it. I was incredibly impressed by the Aliens as soon as I was able to get my grubby mitts on one and I wasn’t too badly put off by the lack of activities. But when I realized that my beloved Gardening was going to be so heavily impacted, I was completely turned off. 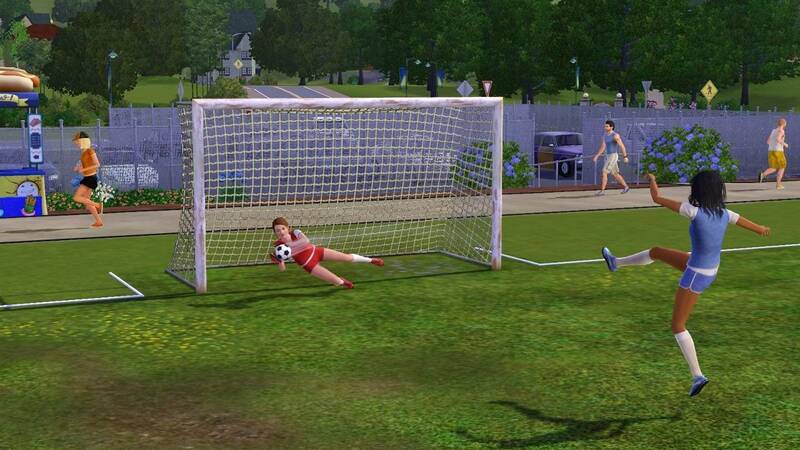 The skill was made very accessible to every Sim player and very easy to manage. Now it’s been broken and done so in a foolish manner. Including a greenhouse would have made this a pretty strong redo of an old expansion. As it stands, it’s lacking a fundamental that is inexcusable and inexplicable, except to assume that it will be used to make more money for the company somewhere down the line.